We are looking for motivated, career focused professionals dedicated to a higher standard of tree care to join our winning team. We have an outstanding career opportunity for seasoned Climbers! The hourly rate is between $25 and $40 per hour based on experience, skill level and certifications. PLUS- earn a $3,000 signing bonus! *Climber Qualifications include: - Minimum of 2 years experience climbing and rigging in a residential setting - Ability to climb without spikes - Passionate about your work, a team player and strong ability to communicate with team members. - Able to climb proficiently and perform tree operations and a thorough knowledge of proper pruning, cabling and bracing techniques. You will be tested on your climbing abilities. - Working knowledge of all knots, ropes and rigging devices as well as safe operation of all equipment commonly used in tree care. - Valid Driver's License required (CDL with airbrake endorsement a plus) - Drug free - ISA certification a plus We offer competitive wages commensurate with experience, YEAR ROUND employment, a positive working environment, state of the art equipment, paid holidays, paid vacation and benefits (health insurance, dental, vision, disability, life, etc). We also pay monthly bonuses for safe work practices, overtime and regular wage increases throughout the year. More importantly, we offer a respectful and positive work environment. We have a zero tolerance policy for drugs and alcohol, unsafe work practices, dishonesty and poor work ethics. We respect hard work, dedication and honesty and reward it accordingly. Arbor Art Tree Care, Inc. seeks a Plant Health Care CO3 Technician to join our rapidly expanding Plant Health Care division. We are a small, reputable company offering an experience-based compensated position with a bonus program. We are a member of the TN Drug-Free Work Force. Please visit www.arborart.net for more information about our company. 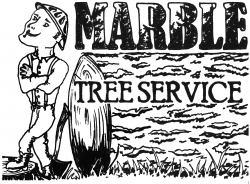 Arbor Art Tree Care, Inc. seeks a Sales Arborist to help manage the load of residential and commercial bids in the greater Nashville area. We are a small, reputable company offering an experience-based salaried position with commission and a bonus program. We are a member of the TN Drug-Free Work Force. Please visit www.arborart.net for more information about our company. Experienced tree climber with rigging experience and bucket truck experience. Driver's license is required, CDL preferred but not necessary. Sub-contractor which requires own vehicle and equipment. Liability insurance policy a requirement. 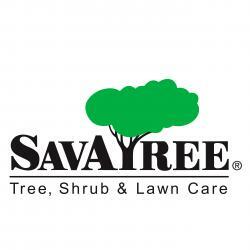 Certified arborist a plus. Sales experience a plus. Climbing Arborist/Crew Lead We are looking for a capable and confident climber to become part of our team. ISA Arborist certification is preferable, but we will cover testing expense for any hires currently seeking certification. Please send a resume with all relevant experience. We are located 30 miles west of Portland, OR. Compensation starting at $25-30/hr. We are seeking two full time individuals who are passionate about tree care, have good work ethic and aren’t afraid to get their hands dirty. Competitive pay with benefits after the first year, must have transportation. Cdl is a big plus!